Leo Howard dated singer Zendaya in 2013. Additionally, from 2013 to 2015, Leo was in a relationship with a fellow martial artist, Micayla Johnson. In 2017, he and British Model Madeleine White were together. Currently, Leo is in a relationship with a girl whose details is not known. 1 Who is Leo Howard? 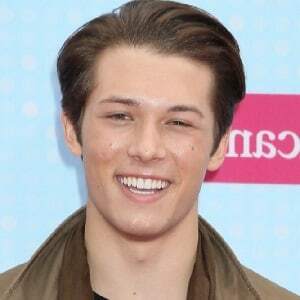 Leo Howard is an American actor and martial artist. People mostly know him for his roles in movies like ‘G.I. Joe: The Rise of Cobra’, ‘Conan the Barbarian’, and ‘Kickin’ It.’ Additionally, he was also certified as the youngest TV director ever by the Guinness World Records. Howard was born in Newport Beach, California on July 13, 1997. He was born to parents Todd Howard and Randye Howard. His parents are professional dog breeders and operate The Big Bulldog Ranch. Additionally, Leo developed an interest in martial arts at the age of four. He is of American nationality. Furthermore, he belongs to the mixed ethnic background of English, Irish, and Ashkenazi Jewish. Talking about his education, Howard attended Tri-City Christian School in Vista, California. Howard initially enrolled him at another dojo which specialized in the Okinawan discipline. He had won three world championships by the age of eight. In addition, he holds a black belt in Shōrin-ryū. He also became the youngest member to perform with Mullins’ Sideswipe Performance Team at the age of nine. In 2005, Leo appeared as Little Karate Kid in the TV series ‘Monk.’ In 2009, he portrayed the role of Eric Brooks in the movie ‘Aussie and Ted’s Great Adventure.’ Since then, he has appeared in several other movies and television series. All in all, he has over 20 credits as an actor. Furthermore, some other movies and television series that Howard has appeared in include ‘Scorned’, ‘WTH: Welcome to Howler’, ‘Santa Clarita Diet’, ‘Love Daily’, ‘Freakish’, ‘You’re Gonna Miss Me’, ‘Betch’, ‘Major Crimes’, ‘Andron’, ‘Lab Rats’, ‘Kickin’ It’, ‘Disney’s Circle of Stars: Do You Want to Build a Snowman’, ‘Shake It Up’, ‘Conan the Barbarian’, ‘Logan’, ‘Zeke and Luther’, ‘Leo Little’s Big Show’, ‘Children of the Corn’, and ‘Shorts’ among others. Howard won the Young Artist Award in 2010 for ‘Shorts’ in the category of Best Performance in a Feature Film – Young Ensemble Cast. Additionally, he also won the Silver Eddy Award in 2011. Howard has not revealed his current salary. However, he has an estimated net worth of around $ 3 million at present. Howard has not been involved in any notable controversies in his career. Furthermore, at present, there are no rumors concerning his life and career. Talking about his body measurement, Howard has a height of 5 feet 10½ inches or 179 cm. Additionally, he weighs around 77 kg or 170 pounds. In addition, his hair color is light brown and his eye color is dark brown. Howard is active over social media. He has a huge number of followers on social networking sites such as Facebook, Instagram, and Twitter. He has more than 350k followers on Twitter. In addition, he has over 590k followers on Instagram. Similarly, his Facebook page has more than 400k followers. Also know more about the early life, career, net worth, relationships, and controversies of other actors like Matthew Lewis, Ncuti Gatwa, Paul Whitehouse, Clive Standen, and Tom Hughes. The complete tale! Know the exotic American heiress Gloria Vanderbilt’s life; her career and relationships! Johnny Galecki’s ranch home burned down in Californian wild fire-Read the details here!